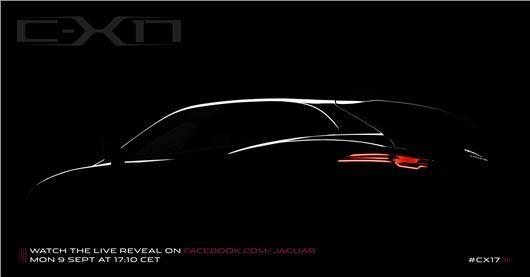 Jaguar has revealed a teaser image of its new C-X17 concept car. Although the image doesn't give too much away, it's a small 4x4 that previews the company's upcoming new rival to the Audi Q5, BMW X3 and Range Rover Evoque, which will probably be launched in 2016. The C-X17 is an important concept car for Jaguar, because it will be an entirely new proposition for the company, which has never built a 4x4 production car before. But it's hoped that the new car, when it reaches production, will encourage new customers to Jaguar, in much the same way that the Cayenne did to Porsche. Jaguar has confirmed that the C-X17 receives the new ‘highly-advanced, modular aluminium architecture’. That should mean that the new 4x4 will be lighter and more efficient than its steel-bodied rivals. Jaguar will probably also base its upcoming BMW 3 Series rival on the same platform, although that is still a few years away yet.